The Jordan "Remastered" series have been the discussion since news first broke this summer. Months later, we finally have the first remastered Jordan releasing to the public. 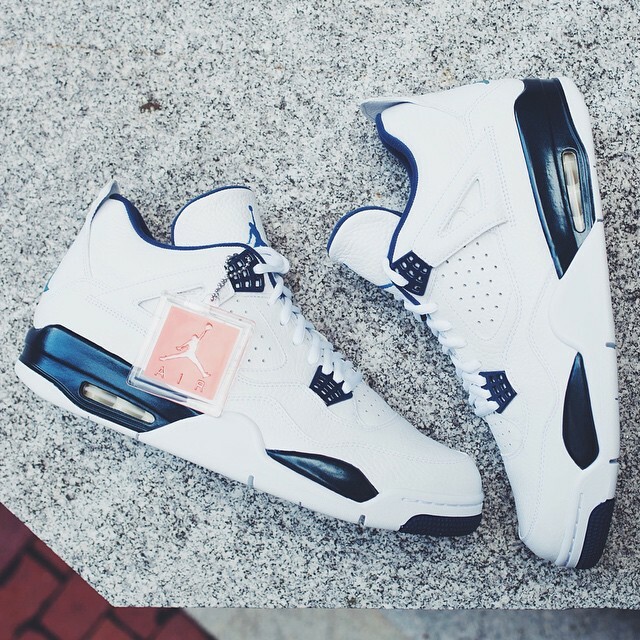 The Air Jordan IV "Legend Blue" may remind many of the "Columbia Blue" colorway which released in 1999. The shoe features a legend blue Jumpman logo with Midnight Navy on the midsole and backtabs. Pebbled-tumble leather opposed to the typical half grain leather from previous Air Jordan 4's, so they do show signs of improvement in quality from the cut to the construction process. You can purchase a pair early from DetroitKicks at a discount with code "SNEAKERSHOUTS"